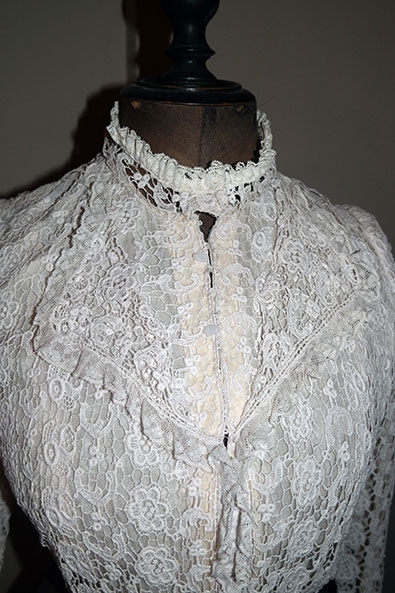 Beautiful antique lace bodice, late Victorian / early Edwardian, ca. 1895 - 1905. 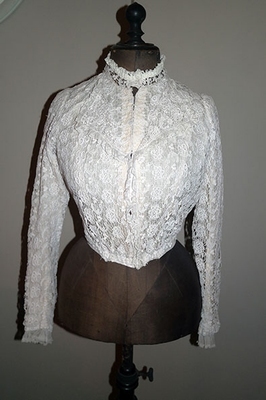 Very lovely bodice, made of beautiful lace and fully lined. 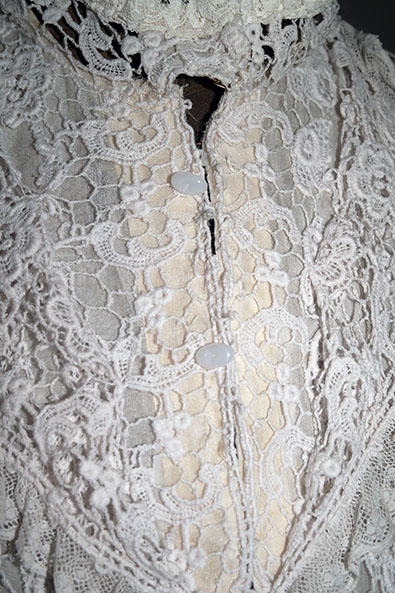 The bodice has a small stand up collar and small fake lapels trimmed with lace. 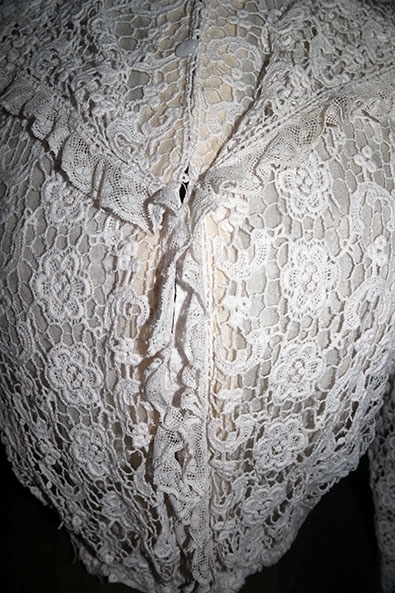 The bodice closes with hooks and eyes down the front and is boned with short stays. In very good condtion, including the lining. 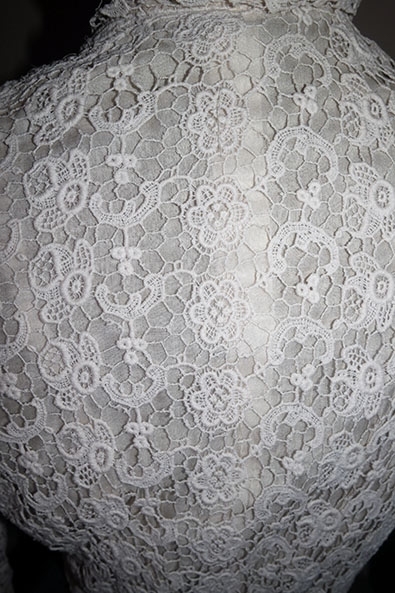 There are maybe 1 or 2 small breaks in the lace, but you will really have to look for them. 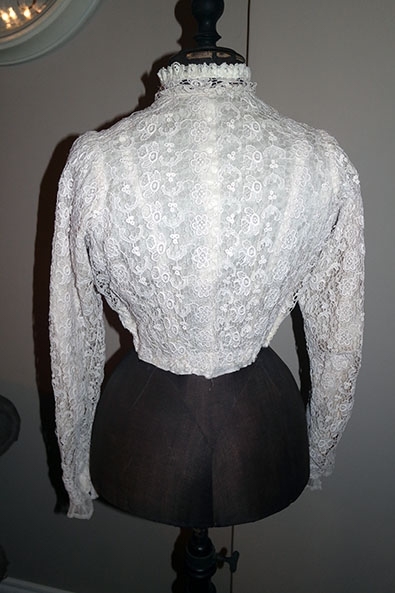 The bodice is a slightly larger size, in the pictures we have pinned it at the waist on the mannequin. Bust approx. 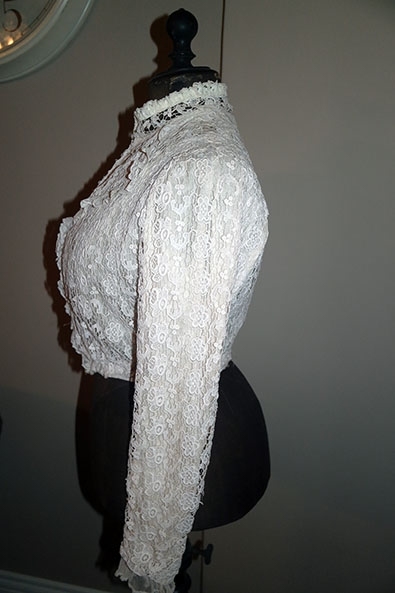 94 cms, waist approx. 79 cms.